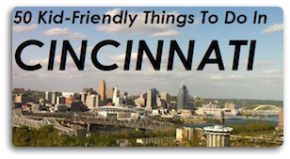 A cool new business is opening in Over-The-Rhine this week…. Play Library, an innovative concept that serves as a library for toys and games, opens March 16 at 11 am. Created by a former toy design manager, Julia Fischer, Play Library will operate just like any other library – except it won’t be lending books. Rather, it will lend games and toys. Originally opened as a pop-up shop in the Globe Gallery across from Findlay Market via a 2015 People’s Liberty Globe Grant, Play Library’s new brick-and-mortar space is located at 1517 Elm Street in Over-the-Rhine. 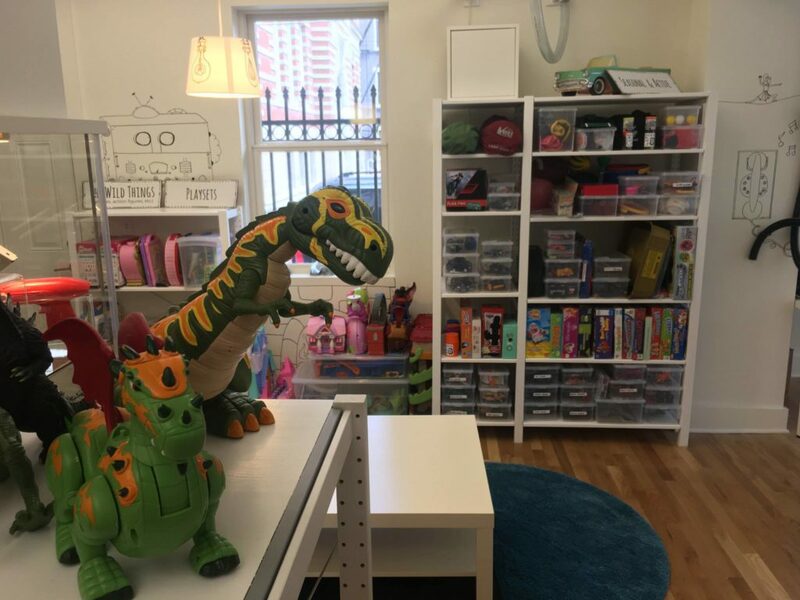 Play Library got its start after Fischer grew tired of seeing toys made with inexpensive materials that ultimately broke in a short time and ended up in a landfill, and recognized that the exorbitant cost of high-quality toys prevented most parents from buying them for their kids. Fischer also noticed that individuals and families are so busy these days that they often forget about the importance of play at all ages and neglect to make time to connect through playing together. So, she set out to solve these problems simultaneously, and Play Library was born. 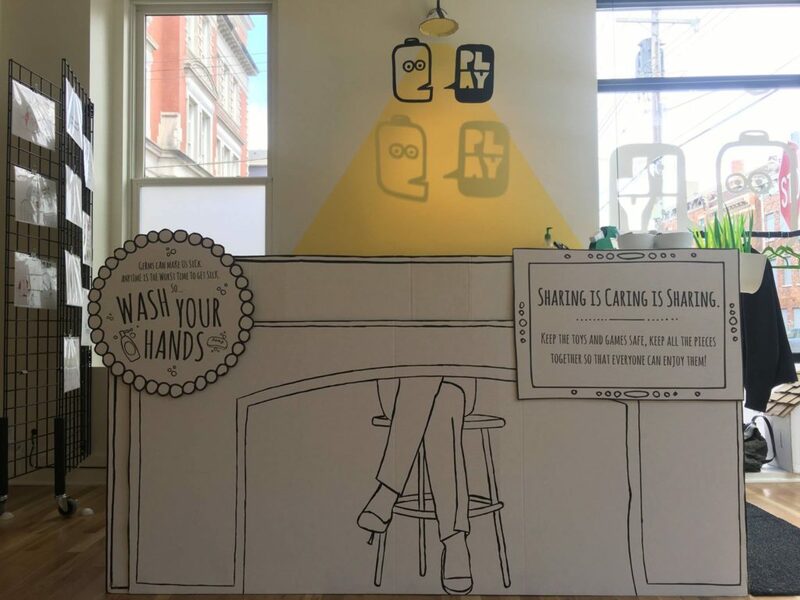 Following the success of the Play Library pop-up, Fischer received additional funding from People’s Liberty, which is helping to finance the new brick-and-mortar space. While it will always be free to play at Play Library, membership will be required to take items home. Membership fees will be used to purchase the latest and greatest toys and games, though Play Library will gladly accept donations of gently used items. Annual and month-to-month memberships are currently available for purchase, and pricing varies according to the number of items an individual or family wishes to take home at a time. Sponsorships, or free memberships, are also available on an as-needed basis. Based on her own life experiences, Fischer sees the value in family time, particularly when spent playing games. She treasures fond memories of time spent with her parents and wants to help other families find fun ways to spend time together without breaking the bank. Play Library will be open Wednesday through Friday from 11 a.m. to 6 p.m.; Saturday from 10 a.m. to 5 p.m.; and Sunday from 11 a.m. to 5 p.m. 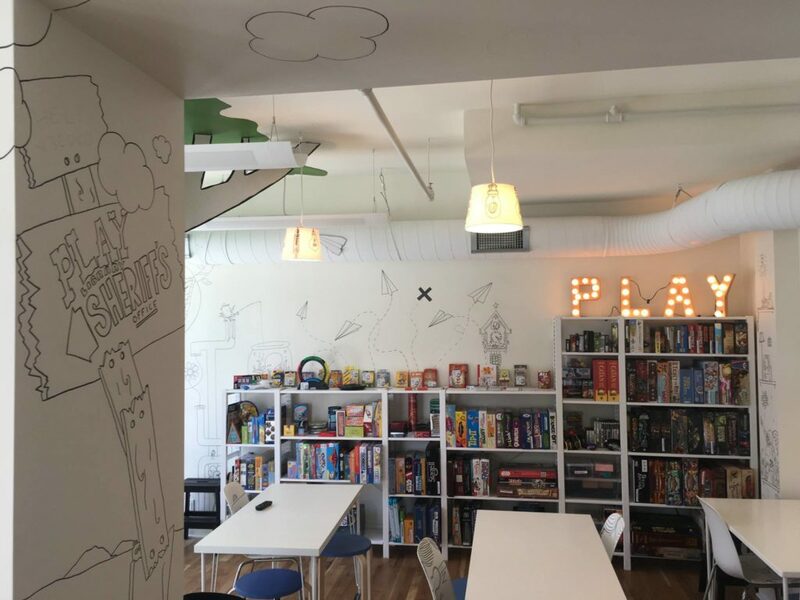 In addition to being open for regular business hours, Play Library will be available to host private gatherings, including birthday parties and corporate events. Throughout the year, Fischer also plans to hold near-weekly special events, including Stuffed Animal Adoption, Toy Hospital (a time for toy repair! ), trivia nights, water balloon fights, and more. Check out Play Library on Facebook.